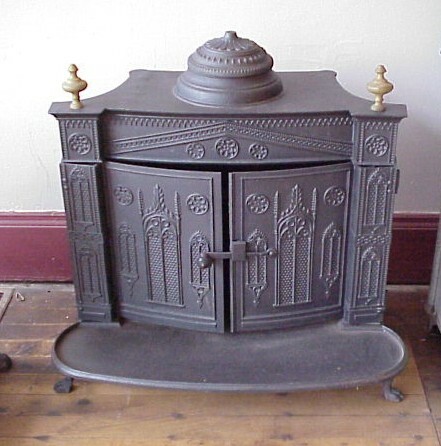 At about 1728, cast iron stoves really began to be made in quantity. 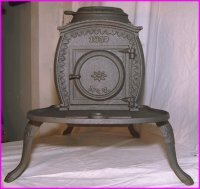 These first stoves of German design, are called Five-plate or Jamb stoves. 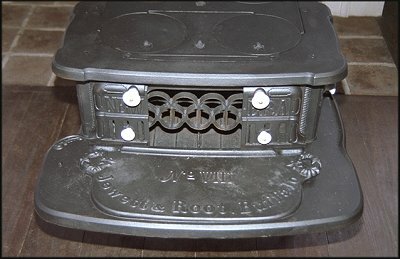 By the 1740's, six-plate stoves, also called close stoves were being made. 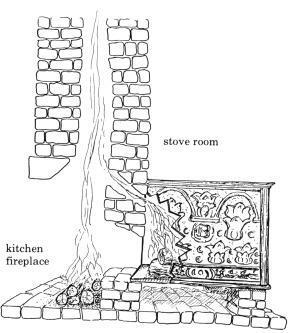 In 1740, Benjamin Franklin improved upon the design of stoves by creating the "Pennsylvania Fireplace"
Around 1760, ten-plate stoves, similar to, but larger than, six-plate stoves were made having four more plates that form a oven and two hinged doors. 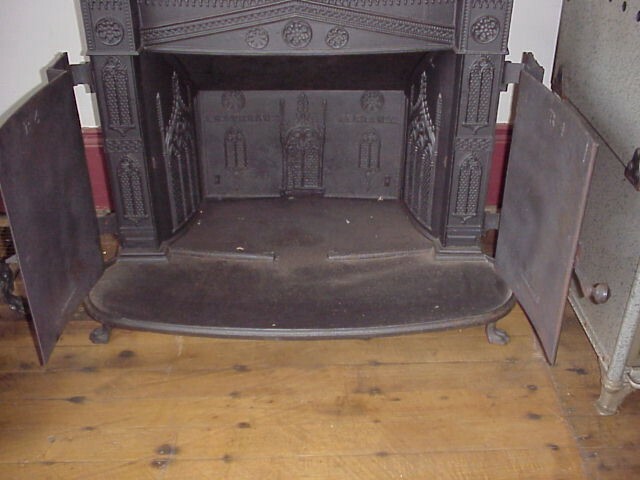 Opening on either side, smoke passed around the ends of the oven and out a pipe. 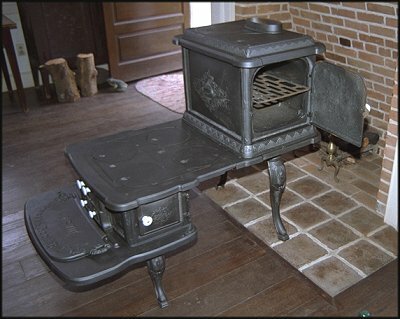 This is the likely genesis of all cook stoves. 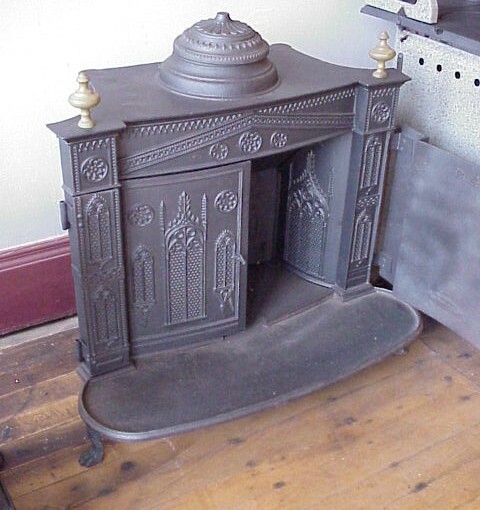 The manufacture of cook stoves and ranges flourished during the latter half of the nineteenth century, as few houses were built with fireplaces. 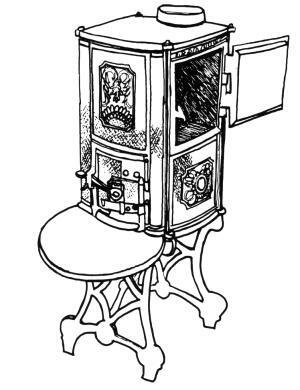 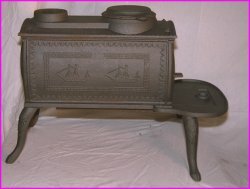 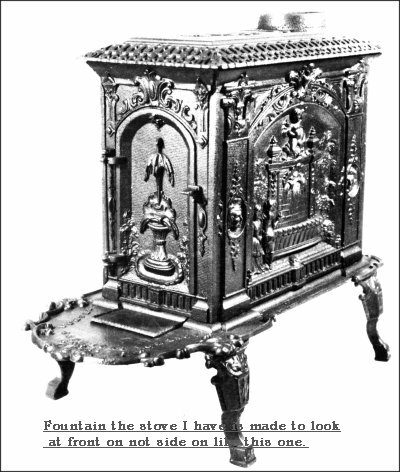 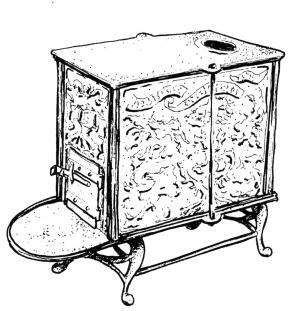 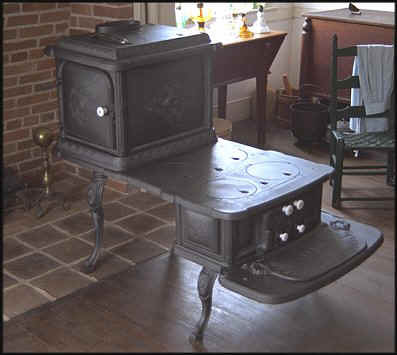 As early as 1820's the Step-top cook stove design was seen. 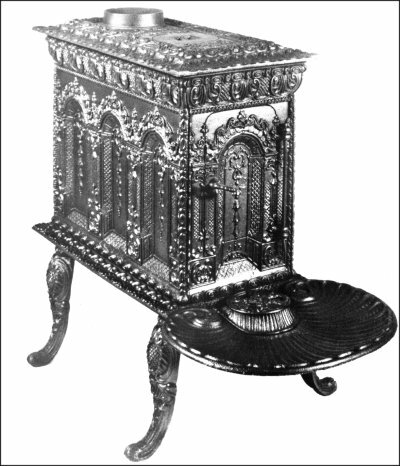 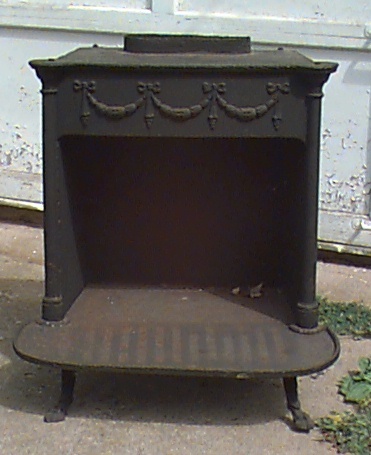 Six-plate stoves made in the nineteenth century were commonly called box stoves. 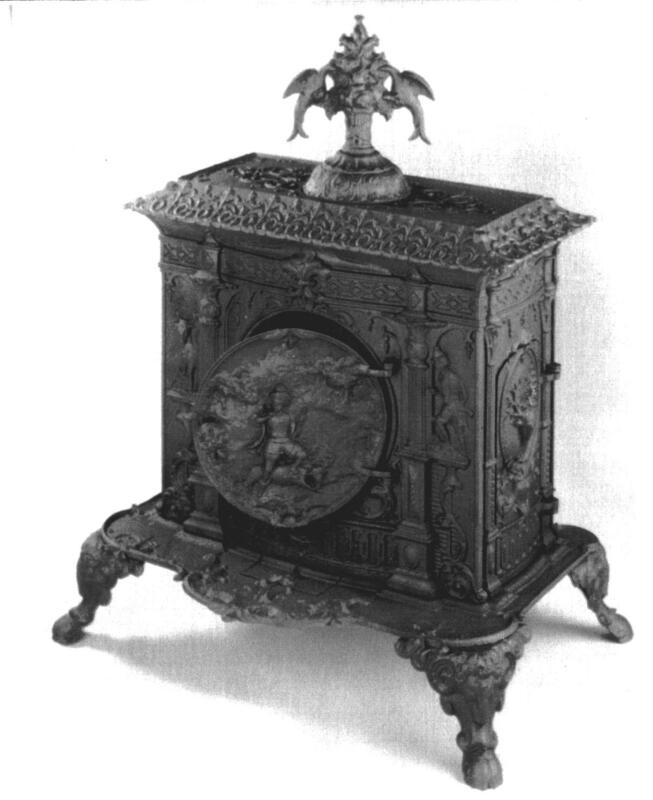 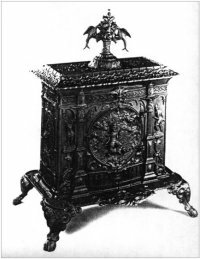 They are similar in design to the six-plate stoves of the eighteenth century, but are lighter and more finely cast because of advancements in technology.